Do You Have the Right Printers and Copiers for Your Office? We hear a lot about productivity and efficiency in today’s modern office, but how does that translate to your business? You may be wondering, how can I be any more efficient than I am right now? The answer may lie in the equipment you use on a daily basis, specifically your printers and copiers. In this week’s post, I will pose some questions to help you determine if your current equipment is still meeting your needs, or if an update would significantly impact your bottom line. https://geiohio.com/wordpress/wp-content/uploads/logo.png 0 0 Brian Frank https://geiohio.com/wordpress/wp-content/uploads/logo.png Brian Frank2014-02-05 14:20:212018-10-22 09:50:43Do You Have the Right Printers and Copiers for Your Office? Who else can remember their teacher handing out “dittos” or “dups” in class? I can remember the classic lavender or mauve color ink and their distinctive smell, but I might be dating myself. Copiers have come a long way since the days of the spirit duplicator, more commonly referred to as the ditto machine. The capabilities of this next generation of copiers and multifunction printers are truly amazing. Chip Riehl, Graphic Enterprises’ general manager of sales, has shared four key features of Konica Minolta’s next generation of copiers. These features not only set them apart from your grandmother’s copier (by leaps and bounds), but even the copiers of the past few years. The new Konica Minolta color printing products have a finishing option that allows for tri-folding of up to three letter-sized sheets of paper. For offices that send out multi-page letters or billings, this can be a huge time-saving feature that helps automate the process. No more printing the pages and manually folding them, or stuffing three separately folded sheets of paper into one envelope! With app-based technology, you no longer have to wait several years before being able to add new features to your multifunction printer (MFP). If you decide you would like to add a feature, or, if a new feature is introduced, it may be possible to add it to your MFP without the need to purchase a completely new piece of equipment. For example, currently you can scan a hardcopy document to a PDF file. Konica Minolta just released an app allowing you to scan to MS Office file formats as well. You simply purchase the app and add it to your MFP. Any employee would be happy to have the ability to scan directly to an editable MS Power Point, Word or Excel document! And, again, there is no need to purchase a completely new machine; you only need to purchase the app. The video below shows how the document scan and convert process works. The control panel continues to become increasingly customizable and programmable. We can work with your office to take a routine job and create a preset macro program to run that job from a shortcut right on the home screen of the control panel. For example, churches routinely use their copiers to create weekly bulletins. We could create a macro program, based on a church’s needs for its bulletins, and add a button to their home screen that says “Bulletin.” Each week when they are ready to print their bulletins, they would press the “Bulletin” button on the home screen, and it would create a folded, stapled bulletin that pulls the covers from one drawer and the rest of the pages from another. This is one more feature that can save many offices valuable time. Integrating your office copiers with third-party software is becoming easier. In some cases, the software integration can be accomplished from your control panel. For example, eCopy scan stations can now be tied directly into your MFP without a standalone indexing system (depending on particular needs and applications). We have a long tradition of empowering our customers in Northeast Ohio and Western Pennsylvania with the tools they need to be successful. We know the Konica Minolta printers and copiers we provide will make you more productive, more efficient and more profitable. We also are proud to let you know that Konica Minolta products meet Section 508 Compliance, ensuring that everyone in your place of business can easily access and benefit from the use of our equipment. Section 508 of the Federal Rehabilitation Act requires companies with federal contracts to select product offerings that comply with evolving standards for accessibility by individuals with disabilities. Konica Minolta incorporates Section 508 compliance as an essential design element in every product they create—it really is the right thing to do. We could not agree more! As a result, for the fifth straight year, Konica Minolta has been recognized as the #1 Brand for Customer Loyalty in the MFP Office Copier Market by Brand Keys. Why are our customers so loyal? Let’s take a look at some of the Universal Design elements that set these printers and copiers apart from the rest. Accessibility. Tilting panels allow for operation from any angle, and easy-to-read LED screens and large function keys ensure ease of use. Usability. Logical controls, color-coded instructions, easy-to-see LED screens, simple icons and customized commands mean straight-forward operation. Handling. Front-loading drawers, large handles, easy-change toner replacement and accessible paper path make for easy operation by those who are wheelchair bound or physically challenged in other ways. Styling. Modular options and a small footprint ensure equipment is accessible but conveniently located. Large touch screens on our Konica Minolta bizhub multi-function printers allow for on-screen document previewing before you print, and you can simply tilt the panel up, down or to the side for customized access. Control icons have replaced word commands, and you can access them using the same touch, swipe and double-tap fingertip gestures you use on your smartphone. Konica Minolta has made every effort to ensure universal ease of use for everyone, including the visually impaired with orange and blue screen colors that are easier to see. Here at Graphic Enterprise, we want to enable your office to be more productive. Contact us today! Want to get the most out your Apple iPhone, iPad or iPod Touch device and your Konica Minolta printer? Konica Minolta’s PageScope Mobile app is a cutting-edge application that connects your mobile Apple device with our line of bizhub multi-function printers. After installing the printing app from the iTunes Store, you can print directly from your Apple device, as well as scan documents for instant access on those devices. PageScope Mobile App downloaded from the App Store. The first step in using the printing app is to ensure you have a Wi-Fi connection set up correctly between your Konica Minolta printer and your mobile device. Turn on your mobile device. From the “Choose a Network” menu, select the network you wish to use for printing, scanning and accessing the web. The list of available networks detected will automatically appear. The next step is to choose the printer you want to use in conjunction with the PageScope print app. From the Home page, tap the PageScope Mobile icon. Tap the Select Printer icon. If your mobile device automatically detects the available bizhub printers on the wireless LAN network, they will appear in Add Printer List. Tap the desired printer and press the Add button. If you wish to communicate with more than one available printer, tap each desired printer and press the Add button for each one. If your mobile device does not automatically detect the available printers, tap Manual. Tap IP address or DNS Name field. Press Add to add the printer. There you have it! Just by following a few simple steps, you’ll be ready to scan or print documents from your Apple mobile device in no time using Konica Minolta’s PageScope printing app. And check out our next blog post for a how-to on using PageScope for Android. If you’re a business owner in Canton, North Canton, Green, Akron, Youngstown or elsewhere in Ohio or Western Pennsylvania, we would be happy to help you get the most out of your office equipment. Contact us if you’d like to learn more about the many product features of Konica Minolta copiers and printers. 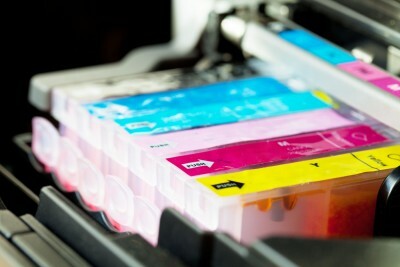 For a commercial printer, all that can add up to one thing: increased profitability. So, if you’re thinking about upgrading your digital printing machines, I would like to share some new options for you to consider. Certified by IDEAlliance Digital Press System, the bizhub PRESS C8000 and C7000 Color Digital Presses are designed to meet demands of the commercial offset, high-volume and mid-production digital environments. They offer superior color accuracy, enhanced media handling and impressive productivity. Ideal for corporate environments, the bizhub PRESS C70hc creates a wide range of printed pieces – including marketing and advertising materials – with color and images that pop and clear, crisp text. These B&W digital presses combine superior strength, high-resolution image quality and simple operation with the versatile paper handling and finishing capabilities needed for maximum flexibility. Announced earlier this summer, the bizhub PRO 951 is a professional production print system that features superior image quality, fail-safe paper handling and long-run reliability all in a manageable footprint. In the near future, Konica Minolta will roll out its B2 cut-sheet, UV inkjet press, called the KM-1. This upcoming inkjet press targets commercial printing environments for integration into existing pre- and post-press workflows. An FD-5 Spectrodensitometer that’s shown in conjunction with the Color Care Suite. CRD and small- to mid-sized print shop applications will like Printgroove. It’s the key to greater output power and increased satisfaction for customers and corporate clients. It can easily fit into your workflow, handling rising traffic volume and accommodating your business processes demand. Dispatcher Pro is a simple yet powerful software application that automates document handling, printing and routing. This service is specifically for commercial printers and supports the needs of small to medium-sized print service providers. All Covered offers help desk and on-site support, 24×7 monitoring, security, business continuity and cloud servers. Konica Minolta is now offering an updated version of its popular Fiery Central, which brings scalability and productivity to your existing printing assets by integrating into your production systems. Fiery Central manages a wide range of print engines from a consistent and centralized interface, extending operator capabilities. If you’re a commercial printer in Canton, Akron, Youngstown, or elsewhere in Ohio or Western Pennsylvania, we can help you with all your production print equipment needs. Contact us for more information. Order Office Supplies Online; We Will Deliver Them to Your Door! Looking for a more convenient way to order office supplies for all the copiers and printers in your office? Often, the same company that sold you the office equipment in the first place can offer personal service, fast delivery and competitive pricing on office equipment supplies. At Graphic Enterprises, that is one way we serve our customers throughout Canton, North Canton, Akron, Youngstown and beyond. Even though we exclusively sell Konica Minolta copier and printer products, our new online office supply store is one place where you can get all printer, fax and copier supplies for Sharp, Ricoh, HP (Hewlett Packard), Canon, Xerox, Lexmark, Konica Minolta, Kyocera, Muratec, Dell and Toshiba. You can also get printer/copier paper (even eucalyptus paper) in various colors, weights and sizes, as well as parts and supplies for wide format printers. If you are a local business, we will deliver your order in just one or two business days. So, forget the hassle of trying to find all the office supplies you need from multiple sources. Try our web store, or call 800-553-6616 – Diane – ext 278, Julie – ext 276. You can also email our supply department at supplysales@geiohio.com for more information or a personalized quote. https://geiohio.com/wordpress/wp-content/uploads/logo.png 0 0 Brian Frank https://geiohio.com/wordpress/wp-content/uploads/logo.png Brian Frank2012-07-06 11:45:452018-03-19 09:36:08Order Office Supplies Online; We Will Deliver Them to Your Door! Even though going paperless may be a goal your business is working toward, I’m betting you aren’t quite there yet. And, even if you do some type of electronic document management, perhaps your efforts are scattered across several different platforms. I’ve invited Chip Reihl, our sales manager, to share a solution that can get you closer to a paperless workplace and help you better organize all incoming and outgoing documents. With the capabilities of a copier, printer, fax machine, scanner and more, Konica Minolta’s line of Bizhub multi-function copiers can become the hub of your communication as it relates to paper and technology – in other words, a virtual onramp and offramp for your business. All your printed materials come off, and every hard copy that needs to be an electronic image can be added on in seconds. In fact, the scanning technology works at the speed of the 78-page-per-minute document feeder, even if you’re only copying 20 pages per minute. Bizhub also offers electronic document routing (so you can skip printing stuff out) and seamlessly integrates with apps and architectures that, for example, can automatically turn scanned pages into Word documents or PDFs. The easy-to-use control panel ties everything together. My customers often tell me how great the Bizhub prints look, too – like originals, in fact. That’s thanks to Konica Minolta’s advanced microtoning process. For your IT department (or person), Bizhub comes complete with all the tools you need to connect it to your network, where printing volumes, supplies and service can all be automatically monitored. Some sophisticated features include biometric access and user authentication. Bizhub really is a one-stop shop for document workflow. Perhaps it’s the document workflow solution you’ve been looking for. If your business is located in or near Canton, Akron, Youngstown or even to the west of Pittsburgh, contact us for more information about Bizhub.